The thyroid gland makes a hormone that regulates the body’s metabolism. The gland is located in front of the neck below the voice box. 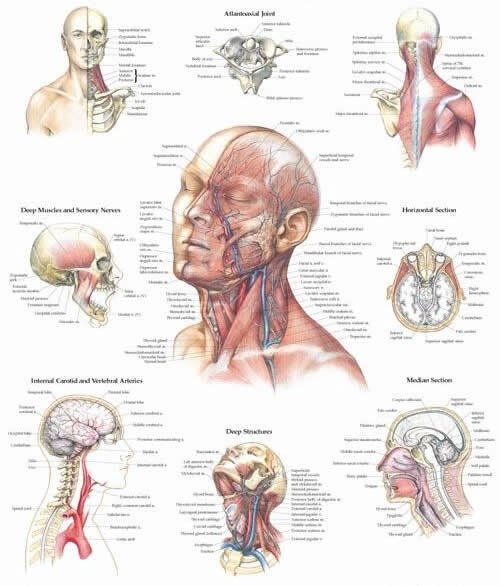 Lumps in the thyroid gland require thorough head and neck examination. Additional tests such as blood test, ultrasound or CT scanning may also be indicated. Salivary glands include the parotid glands, submandibular glands and minor salivary glands. Disorder of the salivary glands can include chronic infection, stones and autoimmune diseases. Lumps in the salivary glands are frequently benign, but should be evaluated with a head and neck examination to determine if further testing is indicated. A lump in the neck often is a benign swollen lymph node caused by inflammation or infection. Lymph nodes are located throughout the body and serve as our body’s filters. Any unresolved neck mass needs to be evaluated for more serious conditions such as cancer. Cancer of the head and neck is frequently associated with smoking and alcohol use. Early diagnosis and evaluation is important to maximize treatment options and outcomes. Additional testing may include lab tests, CT or MRI scanning and needle biopsy. Evaluation by other specialists such as radiation oncology and medical oncology may also be indicated.